Remember the Xiaomi Redmi Pro? 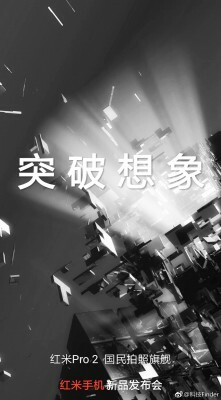 It may finally be getting a sequel as teasers have started cropping up on Weibo, one of which points to the Snapdragon 675 as the chipset of choice. Even more interestingly, this may be the Redmi with a 48MP camera that Xiaomi has been teasing lately. 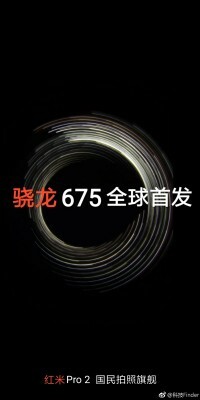 That one has also been connected to the S675 chip and rumors suggest a punch hole for the selfie. This would be a fitting sequel as the original Redmi Pro had a 10-core chipset and and Xiaomis first dual camera.